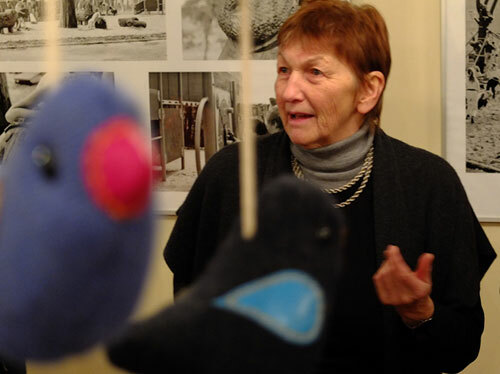 the current exhibition at molsdorf palace in erfurt gives an insight into the work of renate müller. 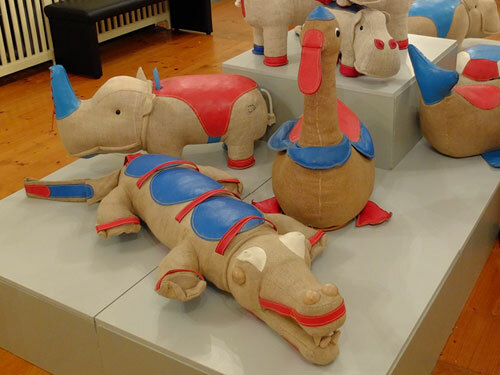 meanwhile her “rupfen”-animals are one of the most sought-after pieces of design made in gdr. 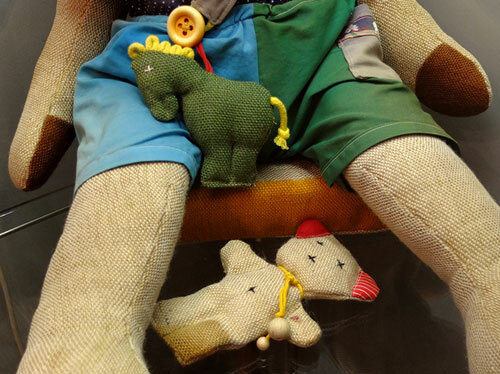 a great number of toys, inclusive more than 50 animals, made from jute and leather with wood wool filled, are shown. the exhibition will run until 18th of march 2018.